Why do we love diving into mysteries so much? There is a reason why so many of us pick up paperback crime novels while waiting at the airport, or binge-watch a new detective series through the night. Mysteries—be they theft, kidnapping, or murder—put us into the main cast’s shoes more than any other genre. However, what keeps us tantalized isn’t always the twists and turns of the plot; it’s the characters that keep us glued to our seat, itching for more. Well-developed characters are the key to any good mystery, whether they be the detective or the suspect. Take TEN DAYS IN THE VALLEY as an example. 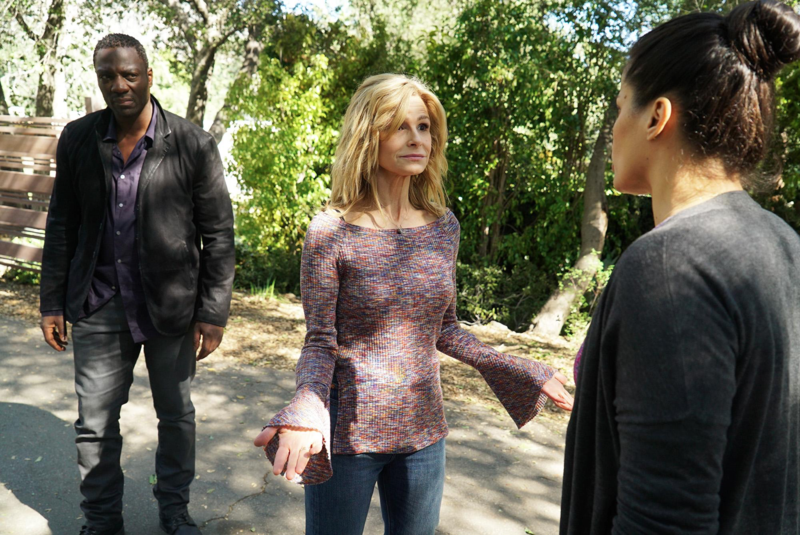 Kyra Sedgwick plays Jane Sadler, a divorced single mother working as a television producer in Los Angeles. 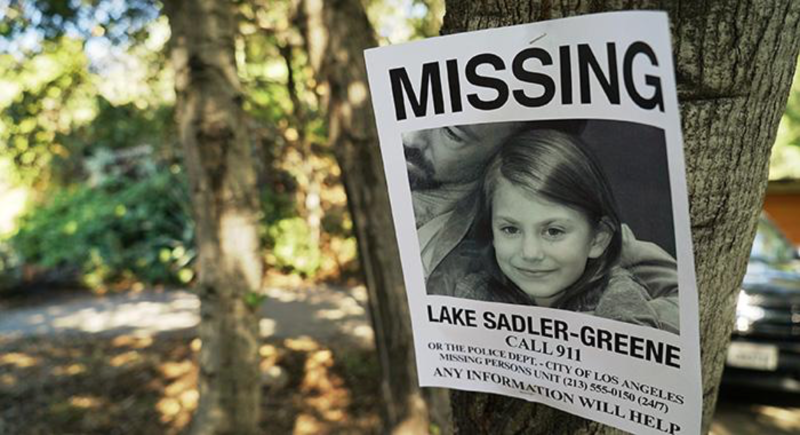 While she is revising a scene late one night, her eight-year-old daughter is kidnapped. As the investigation deepens and no leads emerge, Sadler finds herself losing control of both her professional and personal life. 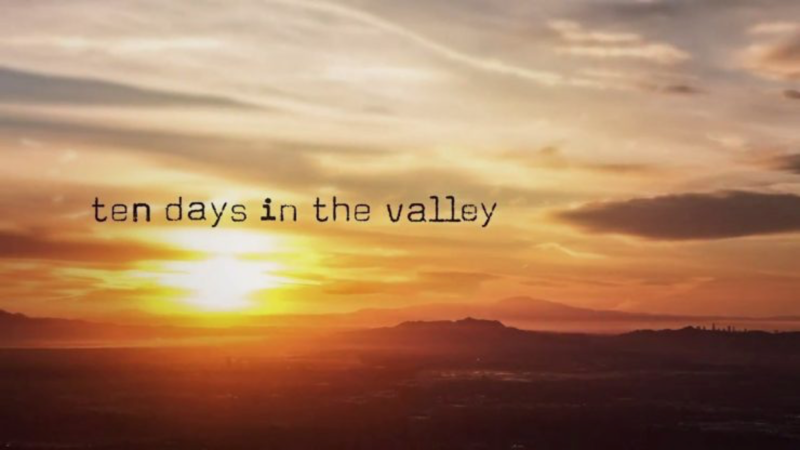 TEN DAYS IN THE VALLEY is a 10-episode miniseries premiering weekly, and we the audience most likely won’t find out who kidnapped Sadler’s daughter, or for what purpose, until near the end. So, what will keep us watching for 10 hours? The answer is our flawed protagonist herself. Sedgwick’s performance is nothing special, but her character is intriguing. Jane Sadler is known for writing cop shows and, as shown in the pilot, she gets her inspiration from sources in the police department. Many police officers are frightened of her due to a documentary she created that revealed corruption in the San Diego police department. The detective working her case, John Bird (Adewale Akinnuoye-Agbaje), even quips that he watches her show. While making a show about narcotics officers, Jane herself uses drugs—they supposedly help her write under pressure, but dark flashbacks to her past suggest otherwise. Jane herself is a mystery worth solving, and it will be interesting to see how she develops over the course of the series. However, TEN DAYS IN THE VALLEY does try to juggle too many plotlines throughout its pilot, and it shows. From the kidnapped daughter to Sadler’s drug addiction and so much in between, creator and executive producer Tassie Cameron may have bitten off more than she could chew. Commercial networks aren’t known for large casts or several intersecting plotlines, but TEN DAYS IN THE VALLEY provides both, a daring and risky move for ABC. Only the supporting actors like Akinnuoye-Agbaje really flourish in their roles; Sedgwick is firmly a B-lister, and this series only further proves it. When all’s said and done, TEN DAYS IN THE VALLEY isn’t ground-breaking television. It has neither the large budget of shows like GAME OF THRONES and THE WALKING DEAD, or the quality of series like THE AMERICANS or FARGO. The acting is weak and the writing is constrained by a 43-minute runtime and network barriers. However, I can’t claim that the premise doesn’t hold some intrigue. Almost despite itself, the pilot held my attention and left me craving more episodes. In a way, TEN DAYS IN THE VALLEY isn’t anything more than the paperback books you purchase for a quick read on a long plane ride. You find yourself immersed in them, and even though you might prefer something with a bit more style and originality, you find yourself finishing the novel by the time the plane lands. TEN DAYS IN THE VALLEY is not quality, but it is entertaining and compelling. Will the rest of the series stick the landing? That’s just part of the mystery. Ethan is an intern for Crossfader and a professional cinephile. His aspirations include becoming a film and television critic and figuring out how to cook food other than ramen.